Red wine is a Virginia Beach happy hour favorite, and we at FIREBREW Bar & Grill are happy to serve you some of our favorites! Actually, we take that back – you get to serve yourself some of your favorites. Our unique Wine Station allows you to serve yourself the wine you’re craving in any size you need – a sample size, a small glass, or a standard sized glass. When you are ready to enjoy a soothing glass of red wine at our happy hour, be sure to read on and choose which one might be your favorite. For a wine that tastes of wild black fruit, such as blackcurrant, Shiraz may be the perfect choice for you. This wine features overtones of black pepper spice and roasting meat. If you pay close attention, you might even taste some toffee notes that come from the oak barrels. These wines are hearty and spicy, and you can always expect them to have intense flavor and longevity. Merlot is one of the easiest red wines to drink, making it perfect for the beginner wine drinker or someone looking for an old favorite. This wine is soft and pairs well with just about any food. You can expect a black cherry scent with herbal and plum flavors. Merlot wines are also less tannic than Cabernet Sauvignon wines are. Cabernet Sauvignon usually goes through oak treatment to give it its popular flavor that pairs so well with red meat. These grapes are planted wherever red wine grapes grow (except for northern Germany), so these wines are abundant in many areas of the world. You can expect a full-bodied taste that becomes richer in its flavors of currant as the wine ages. Malbec pairs incredibly with all kinds of meat-based meals! These wines taste differently depending on where it is grown and how it was made. Typically, you can expect a smooth finish with tastes of spice, berries, and plums. Malbec also boasts some health benefits to its drinkers, so there’s no harm in indulging in a glass during our happy hour. Pinot Noir goes wonderfully with grilled salmon and chicken. 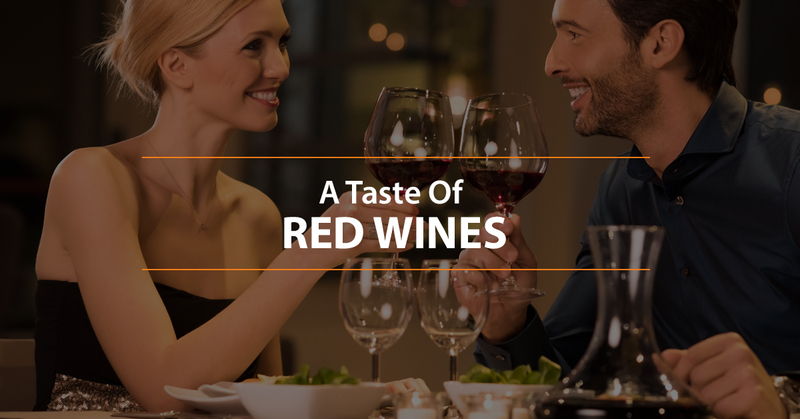 These wines taste fresh and delicate due to the soft tannins. They smell quite fruity, possibly like their cherry, strawberry, or plum ingredients, and have notes of tea-leaf or worn leather in them. This wine comes from some of the most versatile of wine grapes, which means that Zinfandel can be produced in wines ranging from blushes to rich reds. These wines pair incredibly with pizza, so be sure to choose one of our pizzas to go with your happy hour celebration! These wines taste zesty with a hint of berry and pepper. If you are ready to give our Wine Station a whirl, then it’s time to stop in and see us today! Our happy hour specials will keep you coming back time and time again to try something new. We will see you this afternoon!